Oliver Marks has just served ten years for a murder he may or may not have committed. On the day of his release, he is greeted by the detective who put him in prison. Detective Colborne is retiring, and he wants to know what really happened a decade before. As a young actor at an elite conservatory, Oliver noticed that his talented classmates seem to play the same characters onstage and off – villain, hero, temptress – though he was always a supporting role. But when the teachers change the casting, a good-natured rivalry turns ugly, and the plays spill dangerously over into real life. 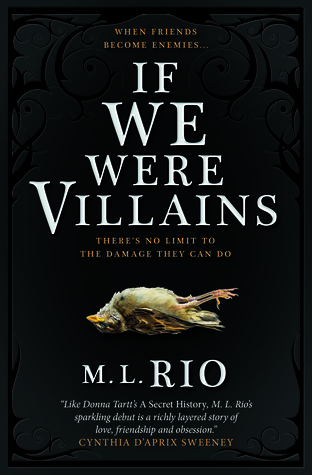 If We Were Villains is one of those hyped up books about anti-heroes (aside from The Secret History and Vicious) that I’ve seen again and again on my timeline. It’s also been staring at me a lot from its shelf in the bookstore, so I caved and bought it. Despite having been spoiled of the ending and who actually did it in general, it still managed to blew me away. I honestly have no idea how to review this book as every time I think about it, I lost the ability to form coherent ideas, so here’s a quick list of the things I liked and not from the book. The vibe. This is like, one of the biggest influence this book have at me. I always love reading about books with boarding school setting, but this book really take it to another level! Yes they are super elite and pretentious af, but beyond that the way they love Shakespeare so much is really interesting. Plus, from the reaction of the faculties, you can tell that they actually care about the students as a person, not just academically or professionally. The friendship. The way it was written and the exclusivity it presents really pulls you in. Their love, and arguably, loyalty towards each other made them more of a family than friends. The layers of complexities surrounding the characters. None of the characters in this book are simple. From the OG seven (Oliver, James, Alexander, Wren, Richard, Filippa, and Meredith) to the teachers, they are all felt human. The romance. HE LOVES HIM HE LOVES HIM NOT. WHICH ONE IS IT. The stress, guilt, and fear. It’s not nice feeling those things but the writing made you fell ALL OF THEM while reading, together with our beloved characters. James, who felt like Gansey from the Raven Cycle, only if he became a morally gray person. Filippa, the overlooked one in the group and arguably, also by the author as she doesn’t have enough pages, that continues to deliver surprises. Oliver and Wren, the super nice cinnamon roll that deserves all the hugs in the world. Meredith, with her confidence and also fears of being overlooked because of her beauty. And last but not least, Alexander with his legendary sass and “screw it” approach when dealing with shits. As much as I love Oliver, there’s no denying he’s being too naive for his own good. Who thinks it’s a good idea to sleep with someone’s girlfriend after that someone suspects you two cheating on him???? I felt like somewhere around the 65-70% marked dragged a bit for me. Overall? This book took tragedy to a whole new level. Like, this whole book is a tragedy, it breaks my heart. It’s so atmospheric, complex, and full of emotions. It’s perfect for the colder months and completely warmed my cold dead heart. It’s just…. perfection, even talking about it gives me feels. It may not be for everyone, but it’s one of the highlights of my reading year! As per recommendation from one goodreads user, go read what is woven into the lives of others by helloearthlings – it’s the ending we all deprived of! Oooo I’m intrigued! I’ve seen this book popping up for a while too but have been on the fence about it but your review has me decided! I’m definitely going to keep an eye out for this one on my next bookstore visit. Great review! Nice review, but in my opinion M.L Rio really re-wrote The Secret History. There is no other conclusion that can be reached. Different setting and some other elements, but there are both substantial plot and character parallels. Thanks for your thoughts! I haven’t read The Secret History, but I do know this book is constantly compared with TSH, many said that it’s perfect for fans of the latter. 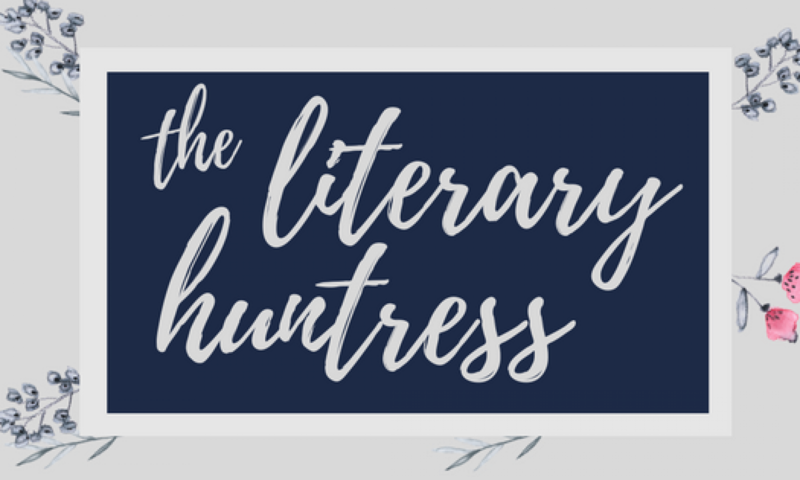 I don’t know how similar it is as someone who hasn’t read TSH, but I do know the feeling of being excited because a book is touted as similar as your favorite book, only to find it a complete rip-off… I’ve been trying to find TSH on bookstores but it’s never available, I can’t wait to see what’s all the hype is about! Thanks for your reply! It may not be a total rip-off because M.L. Rio uses a lot of theatrical and Shakespearean themes, but the similarities in plot and characters are far too many in my opinion. I will be interested to hear your verdict on The Secret History. Fingers crossed I get to find the book soon! I hope you’ll enjoy it Sofii! Wow this book sounds so mysterious and tragic indeed. And I love the cover. Reading through your review makes me wanna read it as well because the vibe sounds really interesting 😮 And everything else about it just makes me wanna read it when I can. Beautiful review ❤ Thank you for sharing Tasya!